Buy our shiny doll-like micro poodle. Cute face teacup poodle with big beautiful eyes. 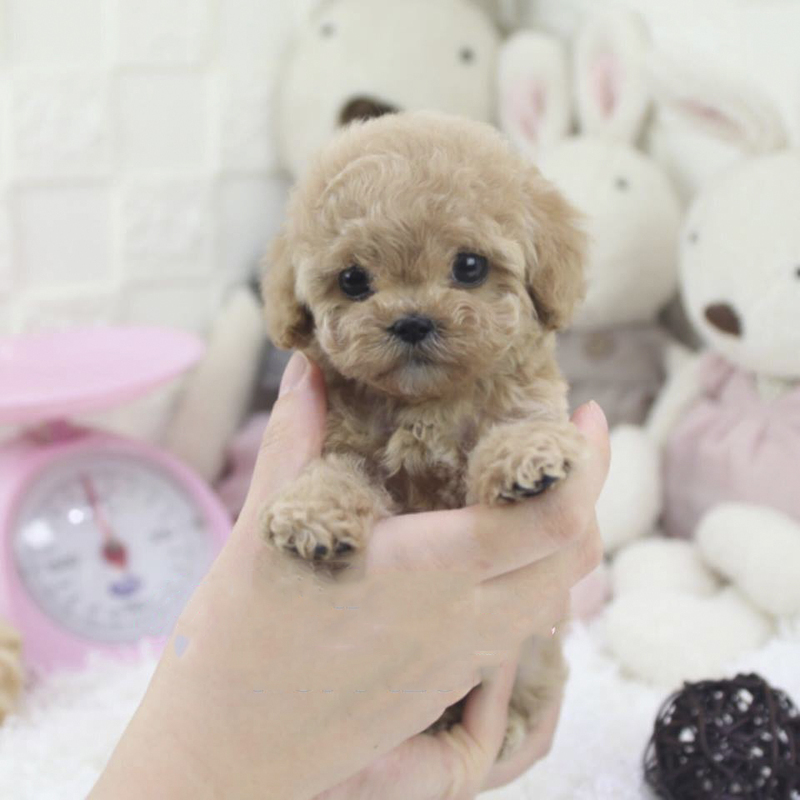 This teddy bear type micro teacup poodles for sale has super lush rich buttery cream hair. 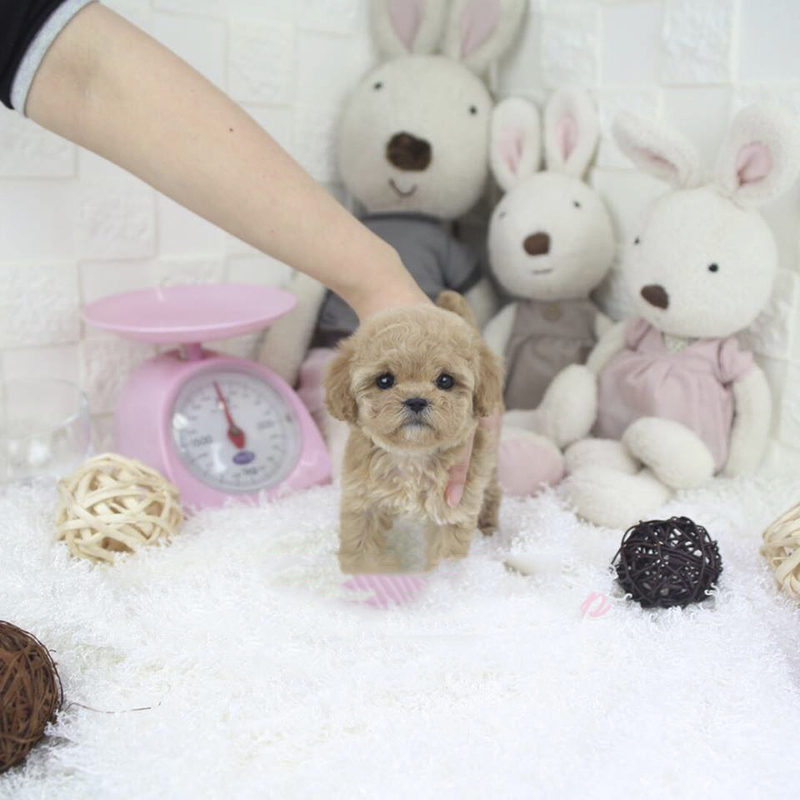 Micro-sized teacup poodle is flawless and named as Power!